Despite getting a spiralizer for Christmas last year, I had never made courgetti before this weekend. 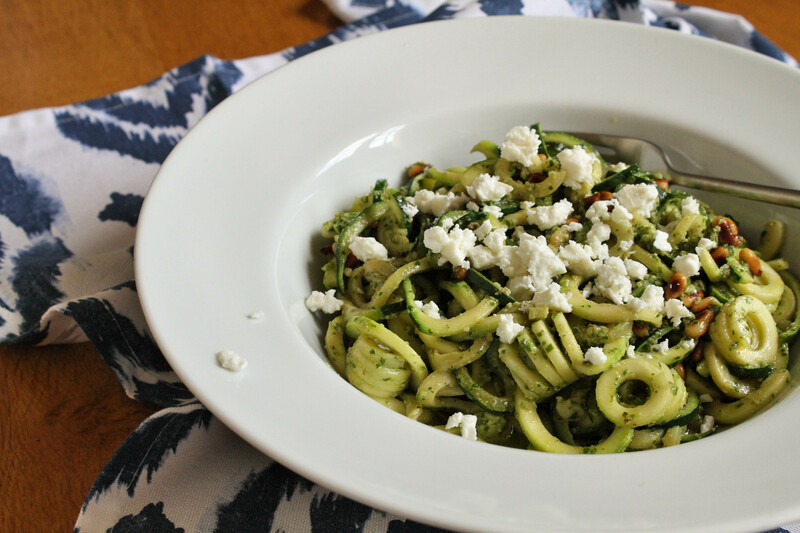 For the most part that was down to the weather not being warm enough – courgetti feels very much like a summer dish to me: something light and fresh, different from the comforting carbs of pasta. So this meal is very much that: a light, simple summer dish – one to be enjoyed in the sunshine, if possible! The walnut and parsley pesto is a delicious variant on the usual basil variety, and making your own means you have total control over the flavours. This recipe makes enough for the courgetti and also fills a jar, which is great to have in the fridge to add to a quick meal or packed lunch. If you don’t want the leftovers, though, I’d suggest dividing the quantities by five. 1. Begin by making the pesto: lightly toast the walnuts in a dry frying pan, until just beginning to brown. Add to a food processor with the parsley and garlic, and blitz. Add the veggie parmesan and blitz again. 2. Add the olive oil and lemon juice and whizz until smooth – there should be just enough liquid to loosen it, so add a little more or less as needed. Season to taste and set aside. 3. 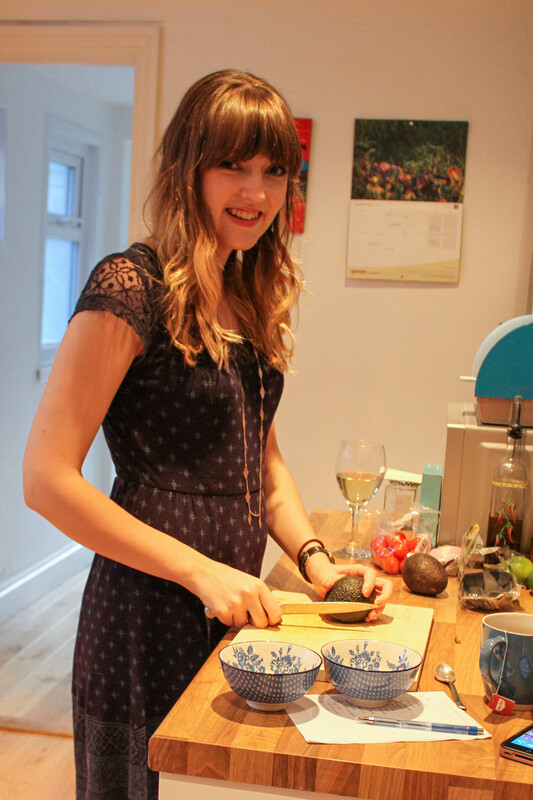 Wash and trim the ends off your courgettes, then use a spiralizer or julienne peeler to cut them into courgetti. It may look like a lot at this stage, but once cooked it will shrink down. 4. Lightly toast the pine nuts in the same way as the walnuts for the pesto, then set aside. Put a splash of olive oil into the frying pan and add the courgetti: cook for no more than a minute or so, tossing regularly, to soften slightly. 5. 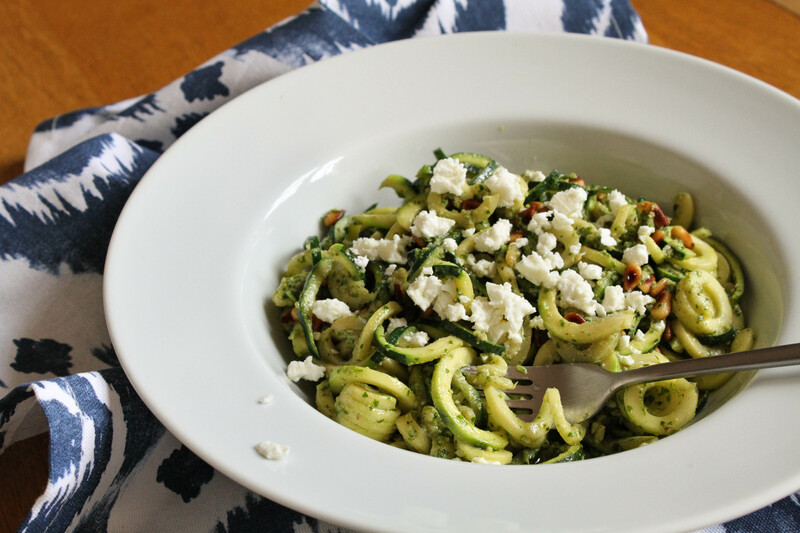 Stir the pine nuts and about 3 tbsp of pesto (to taste) through the courgetti, then serve topped with the crumbled feta. Transfer the leftover pesto to a sterilised jar: it should keep in the fridge for up to a month.